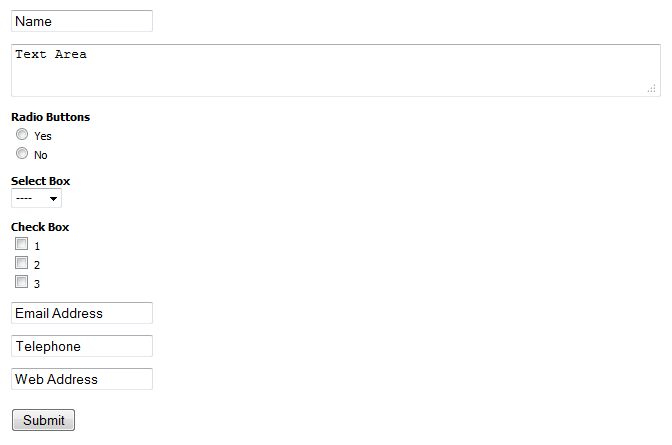 Create custom forms using the standard Concrete5 form block that have field labels inside text fields or text areas in a table-less block that are easy to style and responsive ready. This add-on is perfect when you need to fit a text field and it's label into a limited space such as a sidebar. 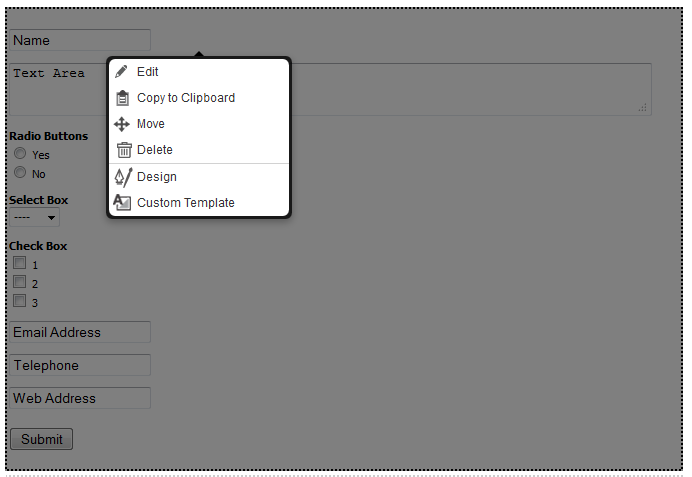 To apply one of the two custom templates that come with this add-on you simply create your form in Concrete5 as you normally would, then, while still in Edit Mode, click on the form block and choose Custom Template. 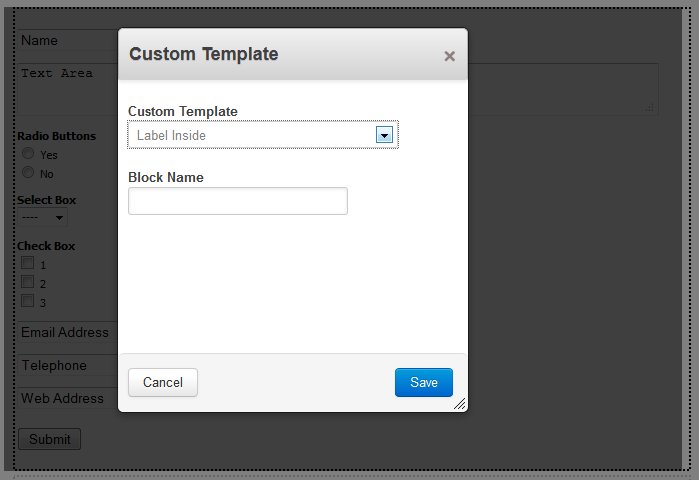 In the select box you will see the Label Inside and Div Based custom templates. When you apply the Label Inside custom template the field labels will be put inside for text and text area fields that have been applied to the block. When you click inside the text fields the labels will atomically disappear. 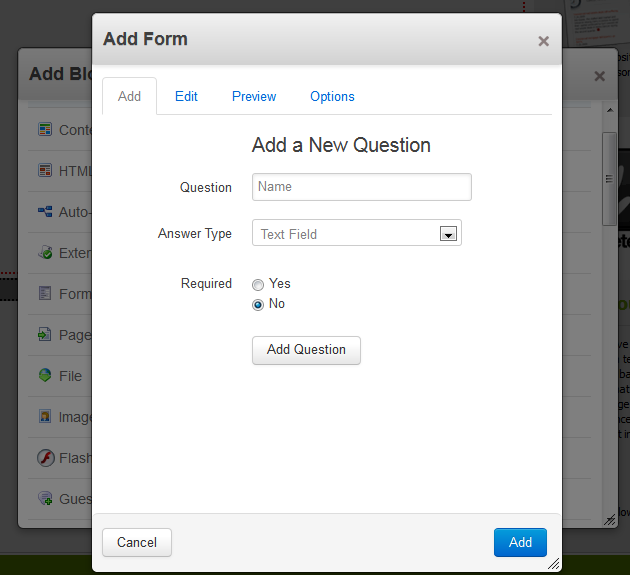 The Div Based custom template automatically applies the label for each field above the form fields. Both custom templates are setup as table-less layouts for easy CSS styling if you desire to do so. Also is perfect for responsive forms for mobile websites designs. Would you like this add-on customized or need website design work for your Concrete5 website? Visit us at www.pixoinc.com.